Welcome to The Body Boutique! We offer personalized gift certificates for any amount. Katie is a licensed graduate from The Electrology and Aesthetics Institute of New England. She is a licensed Electrologist and Advanced Aesthetician. She also continues to stay educated by attending seminars every year that teach licensed professionals new methods of rules, regulations & treatments. Katie will give every new client a complimentary consultation. During each consultation a client’s personal goals toward hair removal and/or skin care will be established. Here at The Body Boutique we are not only focused on a safe, clean and friendly atmosphere, but also client confidentiality. Whether for Electrolysis or Skincare Treatments, personable, gentle and effective treatments will be given to all clients. 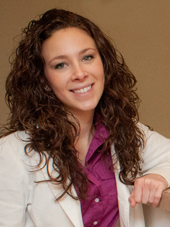 Laurel is a licensed Electrologist who graduated with 1100 hours from the Electrology Institute of New England. She is educated in all current methods of electrology including thermolysis, glavanic, and blend. Laurel is friendly, compassionate and focused on providing a comfortable atmosphere for all of her clients. ​While receieving sessions from Laurel, the objective will always be to provide the most effective treatments to help achieve your personal hair removal goals so you can look and feel more confident! Caitlin graduated from Catherine Hinds Institute with 900 hours while completing her Advanced Aesthetician license. This license allows her to perform various skincare treatments such as; basic facials, chemical peels, microdermabrasion, ultrasonic facials and waxing with both hard and soft wax. Whether Caitlin is performing skincare or waxing services she loves to give the gift of relaxation while customizing each of her client’s needs to help them feel more beautiful with each visit! In return, we require a card to hold on file to reserve your slot and at least 24 hour notice when changing or cancelling scheduled appointments. Electrolysis, Waxing, Facials, Bedford, MA, Lexington, Concord, Carlisle, Hair Removal Day spa, spa, Bedford, ma, Lexington, Concord, Acton, Burlington, esthetics, aesthetics, wax, facial, electrolysis.